MTSU’s ongoing athletics ascension is meteoric, to say the least. 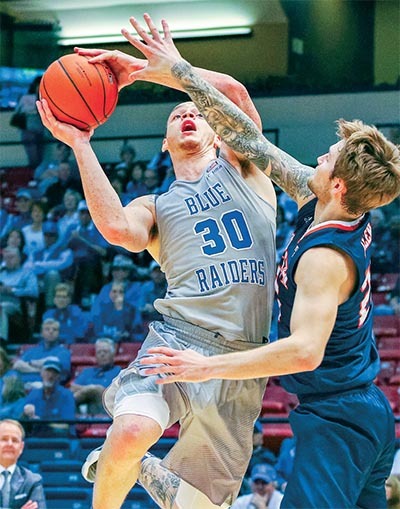 In recent years, the Blue Raider men’s basketball team has cracked the Top 25 national ranking and enjoyed multiple fantastic runs in the NCAA Tournament, elevating MTSU to the level of a national brand. In addition, our football teams have been bowl-eligible nine out of the last 12 years and won the Camellia Bowl in 2017. 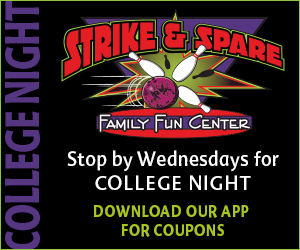 Our other sports programs are also enjoying great success on the courts and fields of play. Importantly, MT Athletics continues to experience unprecedented success academically as well. Here are some of the top classroom highlights achieved by MTSU student-athletes. During the Fall 2017 semester, 13 of 15 teams had a semester team grade point average of 3.0 or higher; 105 student-athletes made the Dean’s List (3.5+ GPA), and 34 had a perfect 4.0. Overall, 196 of 329 student-athletes recorded a 3.0 GPA or higher (60 percent). Our NCAA Graduation Success Rate for student-athletes set a new school record at 88 percent, as announced by the NCAA national office. 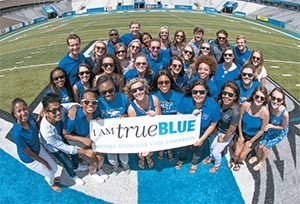 The Graduation Success Rate (GSR) is a four-year measure of freshmen and athletic transfers who entered MTSU between the Fall 2007 and Spring 2010 semesters. This marks the fifth straight year that our athletics program has scored above 80 percent. The last five GSR scores for the Blue Raiders have been 88, 87, 87, 87, and 82. MTSU also ranked third out of the 14 teams in Conference USA, trailing only Rice and Charlotte, who scored 92 and 91 percent, respectively. Six of our athletic programs scored a perfect 100 percent GSR score: men’s basketball, men’s tennis, women’s basketball, women’s tennis, soccer, and volleyball. Men’s and women’s golf was next in line with scores of 88 percent. Of the four Football Bowl Subdivision programs in the state of Tennessee, MTSU’s football team ranked tied for second with Tennessee behind Vanderbilt’s 96 percent. Memphis turned in an 87 percent score. The MTSU women’s soccer team earned its 16th consecutive College Team Academic Award in 2017 with a team GPA of 3.37, as announced by the United Soccer Coaches. MTSU shared the American Football Coaches Association’s 2017 Academic Achievement Award, along with the University of Alabama, the University of Cincinnati, Northwestern University, the University of Utah, Utah State University, and the University of Virginia.